Prices for these custom high quality suits are subsidized by the club. Orders are submitted at the beginning of the season (see registration form). These suits take about 5 weeks to arrive. Boys wear long jammers or speedo briefs. Girls wear one-piece swimsuits. The suits should not be loose. The suits are double layer polyester which last much better than lycra. Kids Junior Development - ages 7 - 11 (for kids able to swim a few lengths, getting comfortable in the deep end, and/or newer to water polo) Good for newer, and transitioning from Mini Polo to Regular Kids Water Polo group. 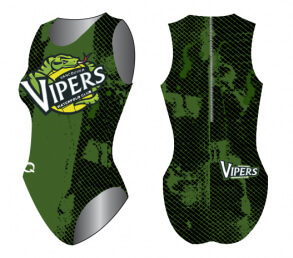 Vancouver Vipers is community club promoting the sport of water polo within Vancouver and Richmond, and playing games throughout Greater Vancouver / Lower Mainland. 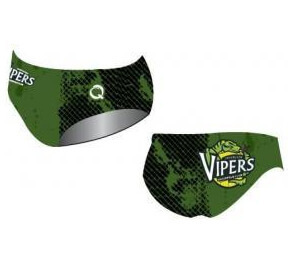 Copyright © 2019 Vancouver Vipers Water Polo — All Rights Reserved. | Web Design by Twirling Umbrellas.